See my updated list, here. 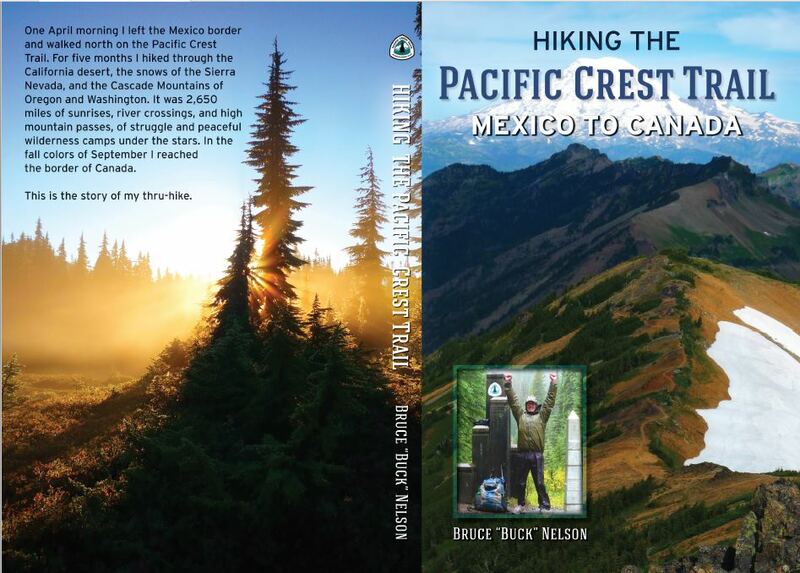 This is a list of the gear I carried on the Pacific Crest Trail. What I actually carried from day to day varied, depending on how close I was to supply, where I was along the trail, and so on. I come up with a total base pack weight of about 11 pounds 12 oz. That is what was on my back minus food and water. When I was carrying one liter of water and three days worth of food (2 lbs a day for me) my pack weighed about 19 pounds, 12 ounces, “average.” On my heaviest carry between Kennedy Meadows and Vermillion Valley Resort, I started out with about 18 pounds of food and about three pounds of extra gear, like bear canister and an ice axe. That made my heaviest pack about 32 pounds.If you notice any errors, please let me know. I swapped out my Wild Oasis for a Six Moon Designs Lunar Solo 23 oz. in Cascade Locks. It’s floor was nice in the rain.